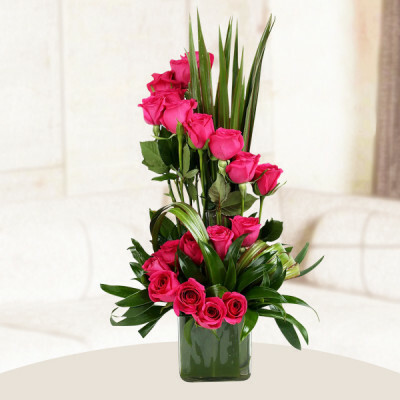 Express your affection for the man of your dreams by ordering Valentine's Day Roses for Boyfriend, online with MyFlowerApp. Select their favorite Valentine Flowers and choose elegant floral arrangements to say ‘I love you’ and we will deliver them anywhere in India. 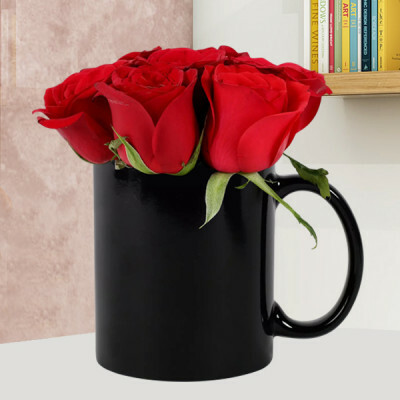 Sending roses on Valentine's Day is a tradition that is as old as the celebration is, so take this tradition forward, add a little modern spice to it, and send Valentine Roses to your boyfriend online with MyFlowerApp. Even men enjoy the attention you shower upon them, and who does not love receiving roses on Valentines? Pamper your darling and celebrate your relationship together by making such sweet little gestures to remind him that there is no greater gift for you to have than his devotion to you. 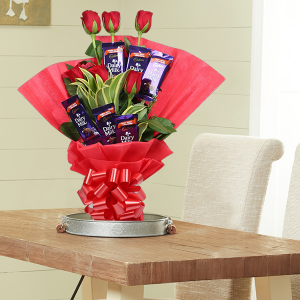 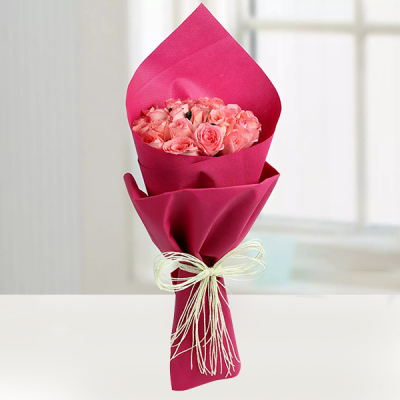 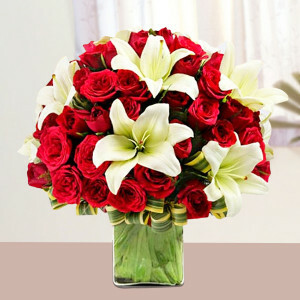 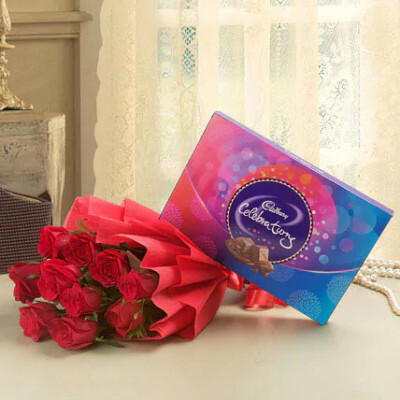 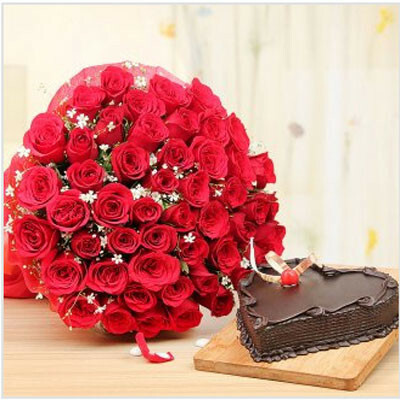 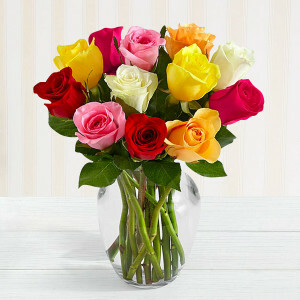 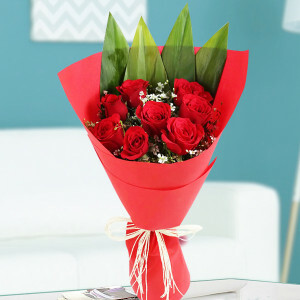 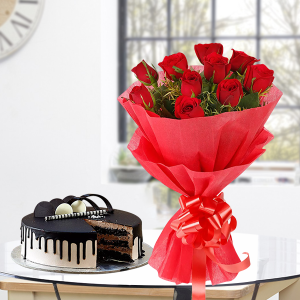 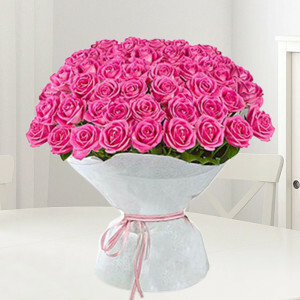 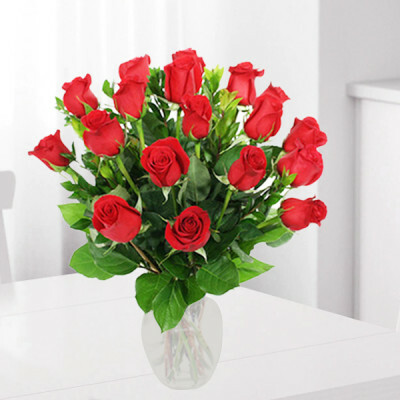 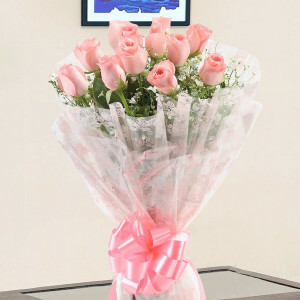 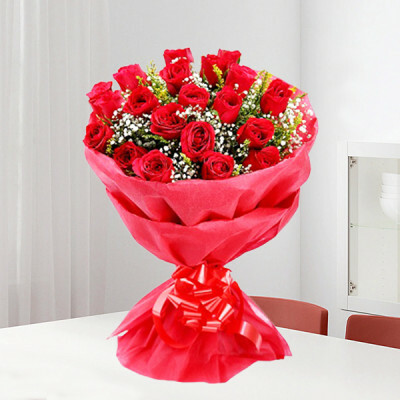 Select an elegant bouquet of red roses from our assorted range and get them delivered to his doorstep. Did you know? 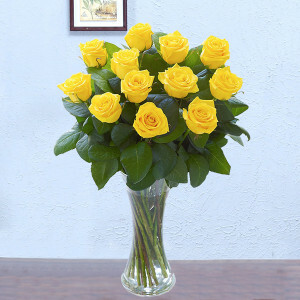 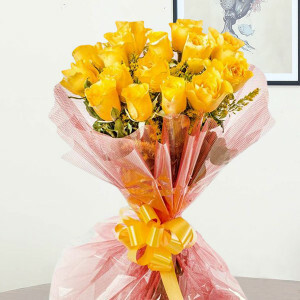 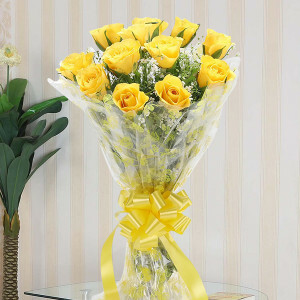 While red roses signify true love and passion, yellow roses express friendship and caring, and pink roses convey admiration. So select your combination and we will deliver them anywhere in India, and abroad. 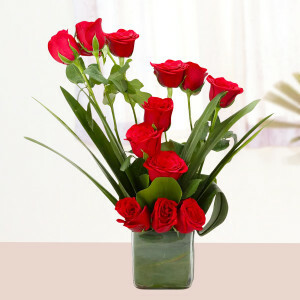 If your relationship is still new and you are trying to say ‘I Love You’ for the first time, let roses speak for you. 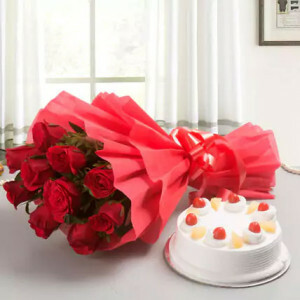 Send your boyfriend, a bouquet of red roses this Valentine's Day, and they will convey your feelings to him automatically. 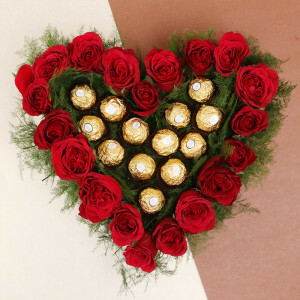 Even if your togetherness is not new, use this mode of communication this year, to articulate your love this Valentines. After all, showing your love is so much more exciting than simply saying it. 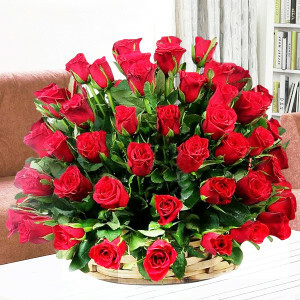 Get help in this adventure of yours, by selecting gorgeous arrangements of Valentines Roses for your boyfriend from MyFlowerApp. 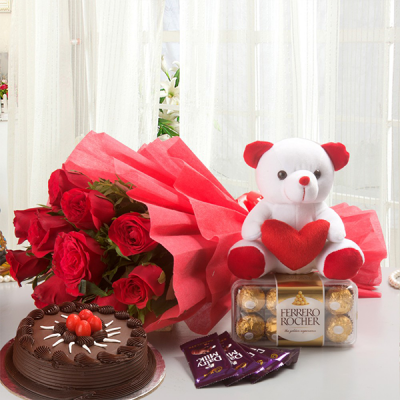 You can also add his favorite chocolates, cakes, personalized gifts, or even a teddy bear to the combo. 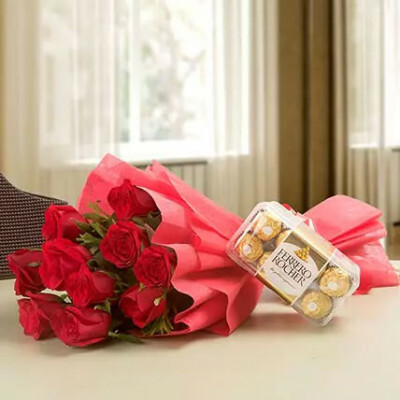 We will deliver them all, anywhere you want. 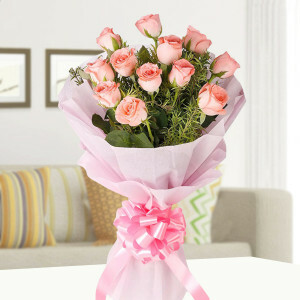 Love surpasses all, and we will do the same for your sake. 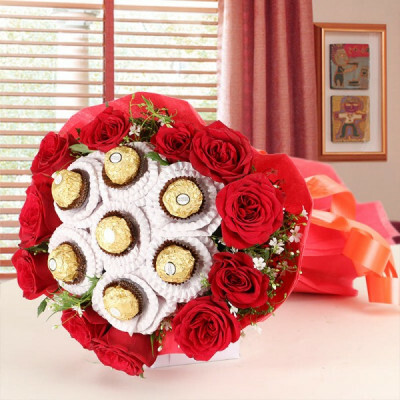 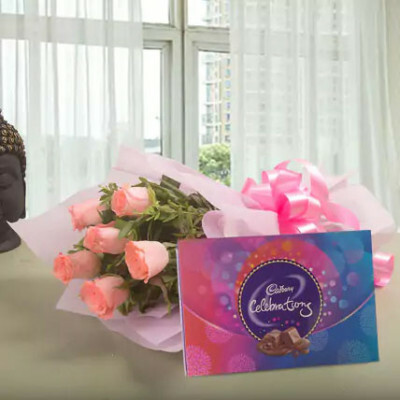 This Valentine's Day, whether your soul mate lives in another building, another city, or another country, we will deliver your love to him wrapped in gorgeous roses with our trusted delivery services. 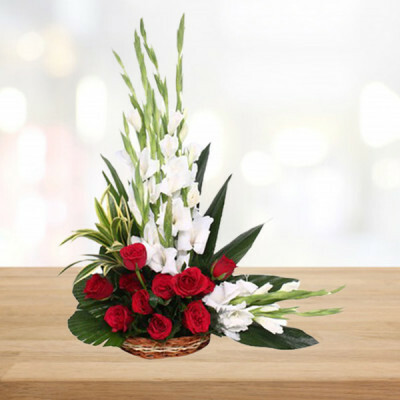 Our services cover all of India, including major cities like Delhi, Mumbai, Chennai, Kolkata, Pune, Hyderabad, and Gurgaon, among others. 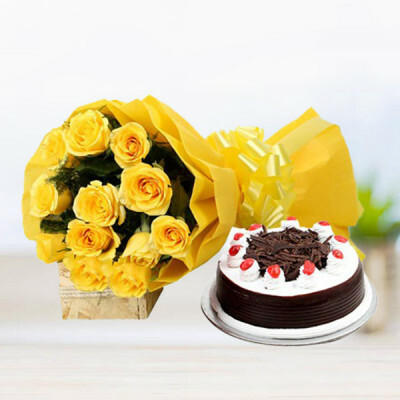 Additionally, we also cater to various countries like the United Kingdom, Sweden, Australia, France, Germany, USA, United Arab Emirates, South Africa, Canada, Malaysia, Singapore, and so many more.